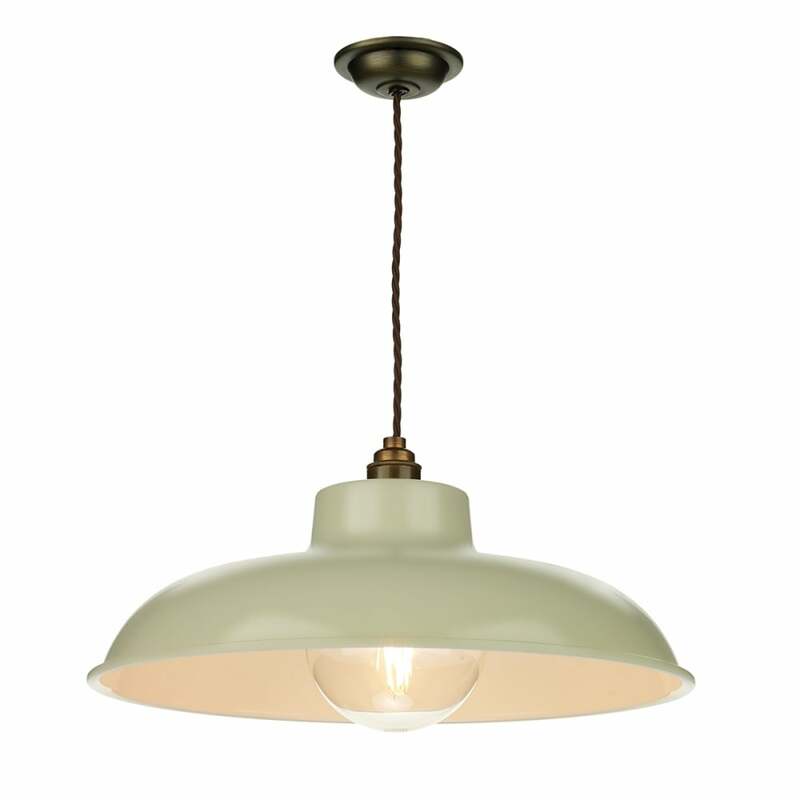 A retro industrial style single ceiling pendant with an antique brass suspension and spun metal shade in a French cream finish. The vintage braided flex can be shortened at the point of installation for use in rooms with lower ceilings, this would be great for lighting over a dining room table or kitchen island in an industrial style setting. It is also suitable for use on a dimmer switch providing the bulb used is also dimmable.